The founder of Apostolic Christian Assembly, Pallavaram, Pr. P. Stephen was known for his dedication and spiritual determination. Our pastor went through lots of trials and preparations before starting our church. When he was fully trained and received the holy anointing, God wanted him to start his ministry in Pallavaram. Pr. P. Stephen joined hands with Pr. Sundaram and started this church in the year 1969, as a branch of Apostolic Christian Assembly. And from then onwards the ministry started growing. Pr. P. Stephen was firm with the fellowship, and he was filled with revelations. "Speak evil of no man" was the motto followed by him, which triggered an impact in people lives. Pr. P. Stephen won many hearts with his breath taking immense messages and love. During the year 1997, pastor entered God's glory. After his sad demise, his younger son Pr. S. Visuvasam took his position. Despite his young age, Pastor was supported with many prayers. Pr. S. Visuvasam was relentless in his effort . Pr. S. Visuvasam was in a position to manage the whole ministry truthfully by God's grace. Today, Apostolic Christian Assembly Pallavaram had gone through many fruitful improvements and had grown up in spirituality. 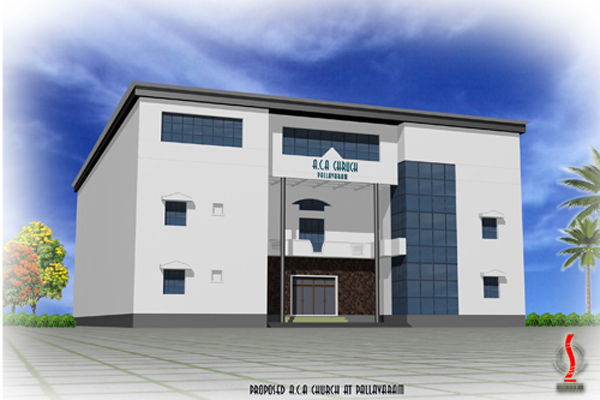 There are many ministries, conferences, meetings, prayer cells and much more are held under one roof by God's grace and glory. Believers of Apostolic Christian Assembly, Pallavaram are touched by Gods words, and they continued to be blessed. We serve our God to the maximum and thereby preparing ourself for the Lord's coming.